If someone asks “Where can you appreciate the beauty of Japan?”, Matsushimao is one of the answers to this question. 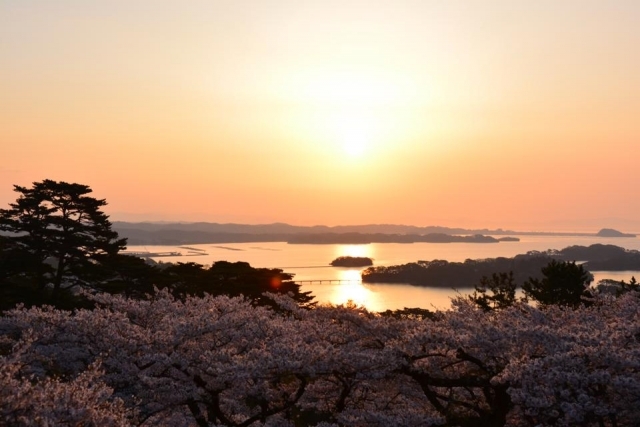 The scenery consisting of 260 large and small islands floating in Matsushima Bay, together with Kyoto’s “Amanohashidate” and Hiroshima’s “Miyajima”, is also known as “Three Views of Japan”. It has won many praises and has attracted many tourists. 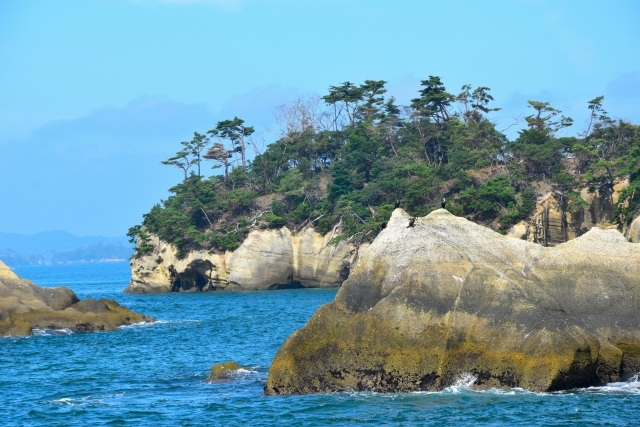 It is said that Matsushima formed the “multi-island sea” as it is now more than 5,000 years ago. Changes in the earth’s crust after the Ice Age caused some hills to sink, and global warming caused sea levels to rise, resulting in the birth of about 260 islands. After a long period of time, the landscape has created the greatness of nature beyond the reach of manpower. However, “the superb view of the sea and the island” is not enough to express the charm of Matsushima. The beauty of the full moon on the autumn night is the world-famous scenery. In Matsushima, in the days before and after the full moon, the moon just climbed out of Matsushima Bay and dyed the sea surface in gold. This scenery is called “Golden Wave”. Soon after, as the moon rose closer to the middle of the sky, the surface of the water changed to silver, known as the “silver wave.” Every moment is changing, and the joint performance of the moon, the sea and the island brings a special view that can only be enjoyed in Matsushima. The simplest way to get to the Matsushima Kaigan (waterfront) area is by taking the JR Senseki Line. These trains leave from Platform 10 from Sendai Station. They take about 40 min. and cost 410 yen. Choose a train with a last stop at Ishinomaki or Takagimachi Station. If you get on a train bound for a station in Shiogama or Tagajo you will need to change trains to one that continues to Matsushimakaigan Station. Alternatively you can take the JR Tohoku Line to Matsushima Station. It takes 25 minutes and costs 410 yen. Matsushima Station is about a 15-20 minute walk to the Kaigan waterfront area down Route 45. If the train leaves from track 5 be careful as there are often two trains- one which goes through Matsushima and the other south towards Fukushima, so be sure to ask which train goes to Matsushima Station if you’re not sure! There is an express train called the Senseki-Tohoku which makes a stop at Takagimachi Station (in Matsushima) in as little as 25 minutes from Sendai. From there you can walk to the Kaigan area (20 minutes) or often wait for the next regular Senseki Line train to backtrack one stop to Matsushima Kaigan Station. Train fare is the same as the regular Senseki Line.All Matsushima Stations accept prepaid IC cards (such as Suica) in addition to tickets. Doing a lot of travel in the Sendai area? Consider getting a day pass which covers local trains, Sendai City buses and subways and the Loople sightseeing bus. The nearest highway exits for Matsushima are Rifu Naka IC and Matsushima Kaigan IC.